Toronto police warned businesses about a spate of thefts of wireless payment machines that are then used to commit fraud. Cops aren't releasing the technical details. 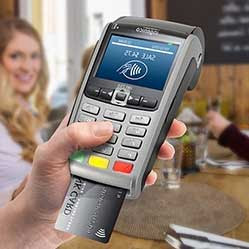 PAT (Pay at Table) devices are wireless credit/debit card payment terminals which operate on wireless technologies like wifi, bluetooth or cellular. They are commonly used in restaurants and bars. Thieves are stealing some machines outright. Four separate incidents are being investigated, all of which came from thefts at restaurants. 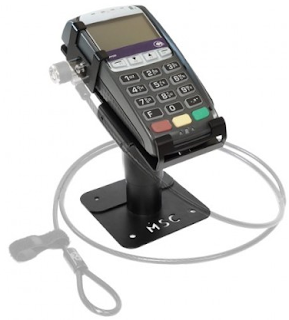 Police recommend that wireless payment terminals be securely stored when not in use and that they should never be left unattended. They say the fraud scheme itself is simple. 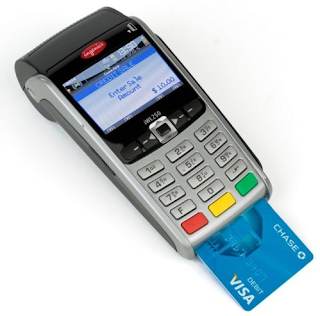 Some payment devices contain merchant account information and may also temporarily store credit/debit card information from any cards used in it. In one case two men arrived at a busy bar before closing time. Their server left the PAT at the table and returned to her duties. The men said the device wasn't working and paid cash. They had replaced the device with a similar one that had been modified to collect and transmit card and PIN information. Cloned cards were then created. Fraudsters target high traffic merchants where large volumes of card information can be collected in a short period of time.